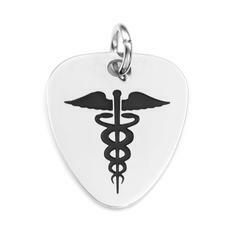 Stainless steel guitar pick medical id necklace is a fun and unique medical id alert for the music lover in your life. Great for boys girls, men, and women. 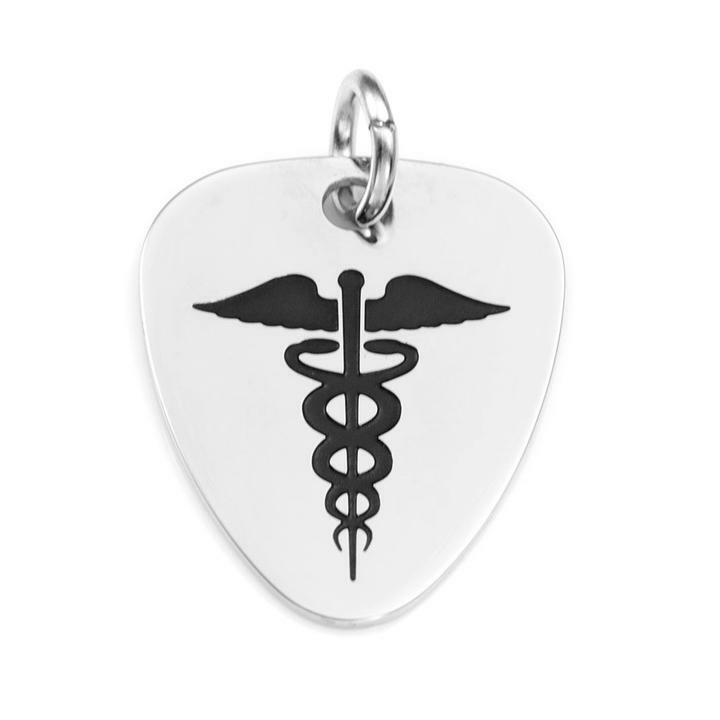 Made of surgical stainless steel and measures 1 x 1 1/8 Inch and comes with a 30 inch stainless steel bead chain which you can easily cut to the size you need. Engraving is done in black laser on the back with up to 6 lines!